A RECENT study by the Research and Advocacy Unit (RAU) has revealed that young women in Zimbabwe have little political trust due to hindering factors like political discrimination, fear of violence and gender inequalities in the country. The study titled What Determines Agency in Young Zimbabwean Women looked into factors that influence young women’s political participation using a representative sample of 329 young women aged between 18 and 35 in rural and urban areas. “Young Zimbabwean women see political fear in its various manifestations as a serious problem,” the RAU report said. The report said the fear of violence in neighbourhoods, though, might not have anything to do with political violence. 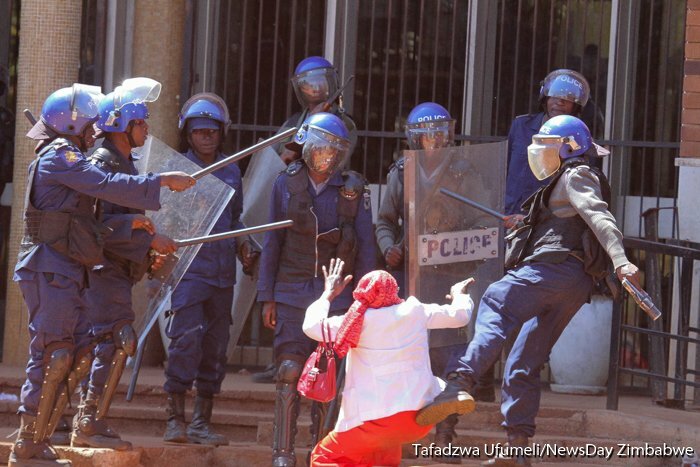 Instead, they said it might have a lot to do with gender-based violence in Zimbabwe. “Despite very high rates of political fear, there was very high engagement with the elections, and at least one study suggests that this high registration rate was matched in the turnout by equally high rates of young women voting, with nearly a 100% rate of registration, and an equivalent number said they were definitely going to vote,” it said. The RAU study also found out that young women in rural areas were most likely to vote for Zanu PF, while those in urban areas were likely to vote for the MDC. “Much of this may be attributed to the patronage of the ruling party and the state, but are also crucial properties of rural life where collective action and assistance are critical to dealing with the arduous conditions in which many rural Zimbabweans live,” the report read. RAU said young urban women had greater political fear, did not see State responsiveness, and had less social capital. “Young women support democracy, but few either approve of the Zimbabwean variety or the extent of democracy in Zimbabwe. They also show low levels of political trust. Most do not see a responsive State, but a significantly larger number (43%) see local councillors as doing a good job. “About two-thirds of young women fear political violence, and this may be seen in the context of low levels of participation and voice,” the RAU report said. The post ‘Violence hindering women participation in politics’ appeared first on NewsDay Zimbabwe.